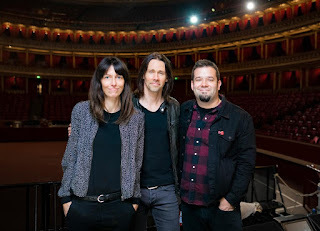 chesyrockreviews.com: MYLES KENNEDY - signs with Napalm Records! First solo album "Year Of The Tiger" will be released in Spring 2018! MYLES KENNEDY - signs with Napalm Records! First solo album "Year Of The Tiger" will be released in Spring 2018! First solo album "Year Of The Tiger" will be released in Spring 2018! He is the distinctive voice of Alter Bridge. He as well gained incredible recognition with being the voice of Slash's back band Myles Kennedy and the Conspirators. He jammed with members of Led Zeppelin, he worked with the best of the best... he is undeniably one of the greatest rock singers of our time. Napalm Records' whole staff is super excited and more than proud about teaming up with this incredible talented artist. "Year Of The Tiger" is scheduled for Spring 2018.